At the outset let me express my sincere appreciation to Paraguay for its successful leadership of the Group of Land Locked Developing Countries (LLDCs). The landlocked developing countries are commonly among the poorest of the developing countries and 16 of us, including my own country are classified as least developed countries with the weakest growth rates, and critically dependent on a very limited number of commodities for our export income. There is a clear connection between distance and the transport costs. High transport costs affect the competitiveness margin of landlocked developing countries and trade volume. Lack of territorial access to the sea, distance and isolation from world markets and high transit costs continue to impose serious constraints on the overall socio-economic development of our countries. In addition to numerous global crises, such as widespread poverty, climate change, financial and economic crises, the threat of terrorism, volatile energy prices and food shortages are among many challenges which developing countries, particularly land locked developing countries are facing. Afghanistanâ€™s export and import have been adversely affected by long distance, difficult terrain, bad condition of roads, non-existence of railway system in the country, volatile security, threat of terrorism and relations with neighbouring countries and inefficiency of transit transport. Â As well our export and import depend on transit through other countries. Additional border crossings and long distance from the market considerably increase our total expenses for the transport services. Not only the above challenges, but also sensitive relation with neighbouring countries all the time impose extra pressure and cost on our poor economy. Afghanistan is a commodity exporter country. We pay almost two times more of our export earnings for the payment of transport and insurance services. All of these challenges have had enormous harmful effects on the implementation and realization of our MDGs. The three decades of war has enormously damaged our economy and our political and social infrastructure, including our roads and transport system. 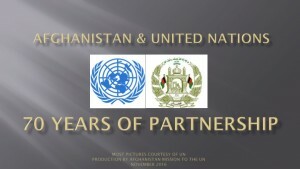 During the past 10 years we managed to built and rehabilitate much of our roads and transport system, however, for adequate development and maintenance of transport infrastructure, establishing a better transit transport system and enhanced technical assistance, capacity building for the formulation of trade policies, investment into infrastructure for transport, communication and etc. we need much support of our development partners and regional cooperation. 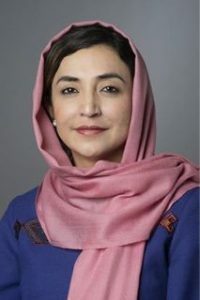 Afghanistan fully supports the commitmentÂ of the landlocked countries to accelerate the implementation of Almaty Programme of Action through effective and genuine partnerships between landlocked and transit countries and their development partners as well as between public and private sectorÂ at national , regional and global level. In conclusion, I reiterate our commitment to work closely with you all to advance our common interests.